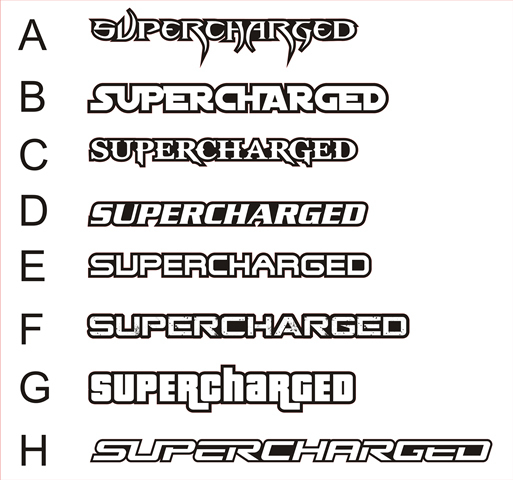 This is a general use SUPERCHARGED emblem for your supercharged vehicle. We allow you to choose a font style, and color combination. We have given some recognizeable fonts to choose from. Star Wars, Blade, Gears of War, Grand Theft Auto, Terminator, God of War, etc are some of the styles we use. Simply choose a style from the dropdown box, and a color combination from the dropdown box and we will get it made for you.